Financial Independence With Kids? But Kids Are So Expensive!! Have you ever said (or heard someone say) "kids are so expensive!"? FIRE (Financial Independence Retire Early) with kids?! With two average professional salaries (we are (way) below $200k total)?? And one being a teacher's salary? How can you save enough (kids are so expensive!)? Yep, not only can it be done, but it will be done by us ... and it has been done by others (Root of Good). I'm going to bring you a series of posts related to saving money even WITH kids. I'll start with entertaining the kids for free or cheap around town which is one of my favorite things to do with them. Even before kids I liked exploring the city. 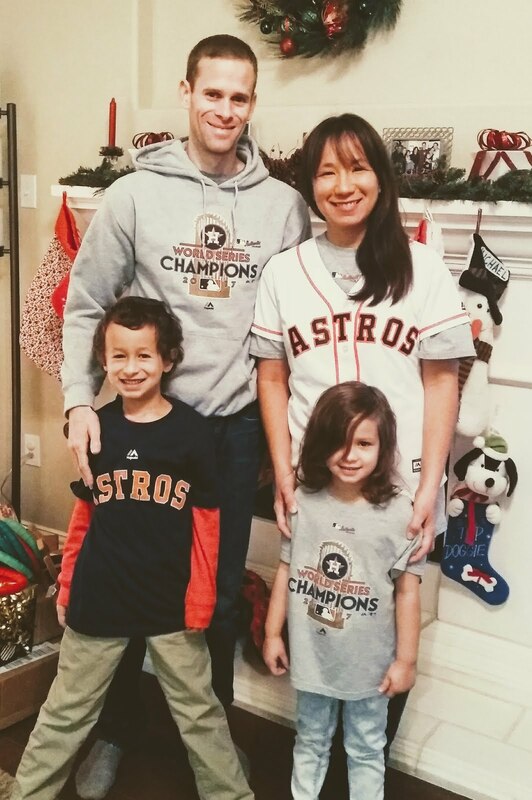 If you don't live in Houston, you can probably find some similar activities if you are near a major metropolitan area. Or if you aren't near a major metro area, I'd love to hear your thoughts on free or cheap entertainment nearby. What about the arts? Museums? Experiencing Picasso or Warhol for free with your kids? Teaching them about artists and the world through viewing the art? Teaching about proper museum manners? And for free (or cheap)? Yes, please. Sign me up! My passion is experiencing the arts, learning about art, and making art for myself and my kids. This is my 10th year teaching art in a public school. I've taught Pre-K through 12th (except for 5th Grade), and before that I worked in art museums (Education, Public Relations, and Specials Events). And previous to museums, I worked in advertising, and as a child I always loved the arts. So this is easy for me, and I love to share the arts with others! In the summertime I do Art Thursdays with my kids, and during the school year we just try to get out and experience art as much as we can (and at home). 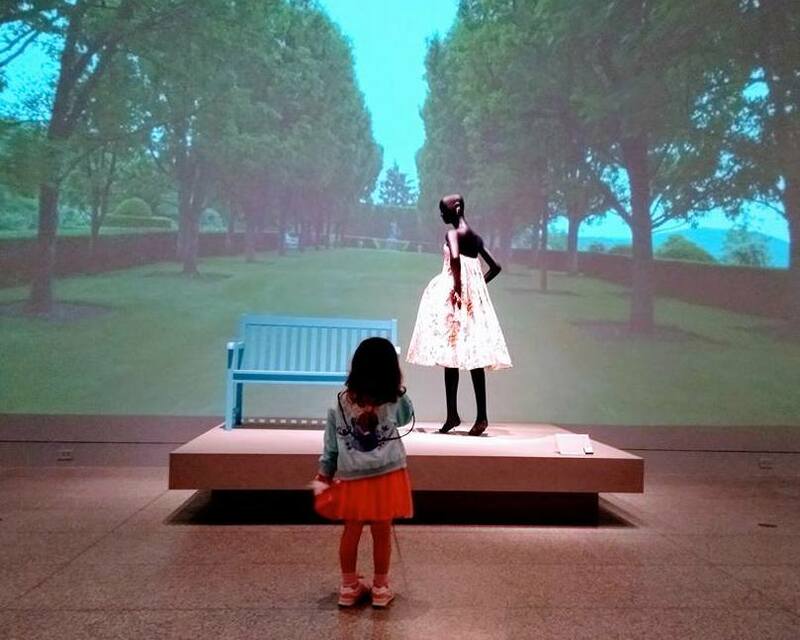 My youngest enjoying art (Oscar de la Renta) last Spring. My favorite art museum in Houston is The Menil Collection. 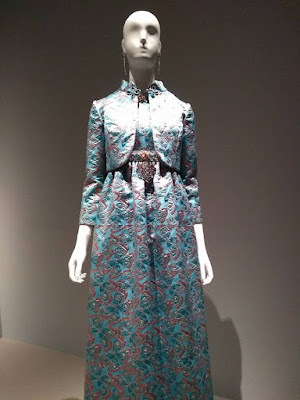 But today I will start with The Museum of Fine Arts, Houston (MFAH). Did you know that kids 12 and under are always free? And everyone is free on Thursday (courtesy of Shell) which is why we try to visit on a Thursday. If you have a Bank of America card (we do), the first full weekend of the month is free (one free general admission for each cardholder) so this is helpful during the school year when it is harder to get there on Thursday. But wait! They are open later on Thursday (until 9 pm) if you want to try to go after school hours. Read more about the MFAH's admission costs here. Okay ... now that I got you in for free, but what about parking?! Isn't that difficult and expensive? (The rail is an option too if that is convenient for you). Honestly parking for free use to be easier. 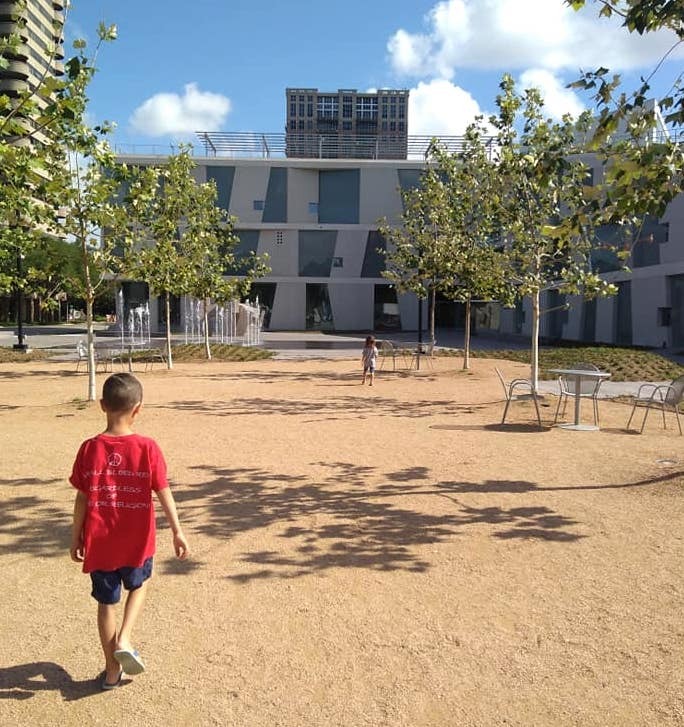 If you are dead set on parking for free (and are good at parallel parking) you may be able to find a nearby street available that does not have a meter and walk a bit (go towards the neighborhoods near the Contemporary Arts Museum Houston). This will be harder during peak hours. If you are only there for a few hours, metered parking a few blocks away (towards the Children's Museum of Houston) is the cheaper route if you don't mind walking a few blocks. I've found this is cheaper (less than $10 for a few hours) than their parking garages. I personally prefer their new parking garage (new underground parking garage on 5101 Montrose Blvd.) because you can visit the sculpture garden and the new outdoor area easily on your way back from the museum to your parking spot. This parking garage is $10 for visitors up to 4 hours and $6 for MFAH Members for up to 4 hours. (We will talk more about membership another time). You can find parking for free or up to $10! Not too bad. Read more about transportation / parking here. Have you ever experienced an art museum with kids? Or is it intimidating to you? Don't let it be! Oscar de la Renta show at the MFAH in the Spring. 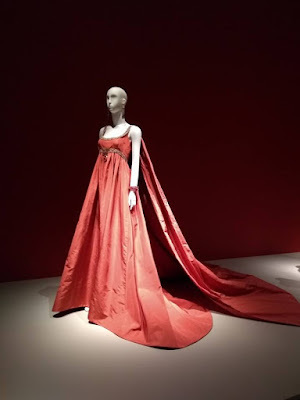 What do we see and do at The Museum of Fine Arts, Houston? 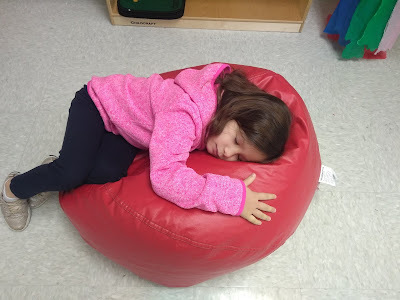 My kids are 7 years and 5 years, and since we hardly ever pay admission price (maybe for a special exhibition) I'm never stressed about having to spend a ton of time in the museum. I usually pick one area that I want to see or have the kids see (or sometimes ask their ideas too). For example, this summer we went to look at Pre-Columbian art in their collection since we were taking a trip to Belize a few weeks later to see Mayan ruins. Sometimes we will pick a theme - for example, "let's see how many animals we can find at the art museum today!" I also suggest packing a sketchbook and some writing materials for the kids and have that on hand to draw and write (You can find these for less than $5 even at your local grocery store, or just bring some paper and writing materials you already have at home). What do you see? Why do you say that? Why do you think the artist made this? If family / kids activities are available, we visit those. In the summer there are activities on Thursdays (free!) 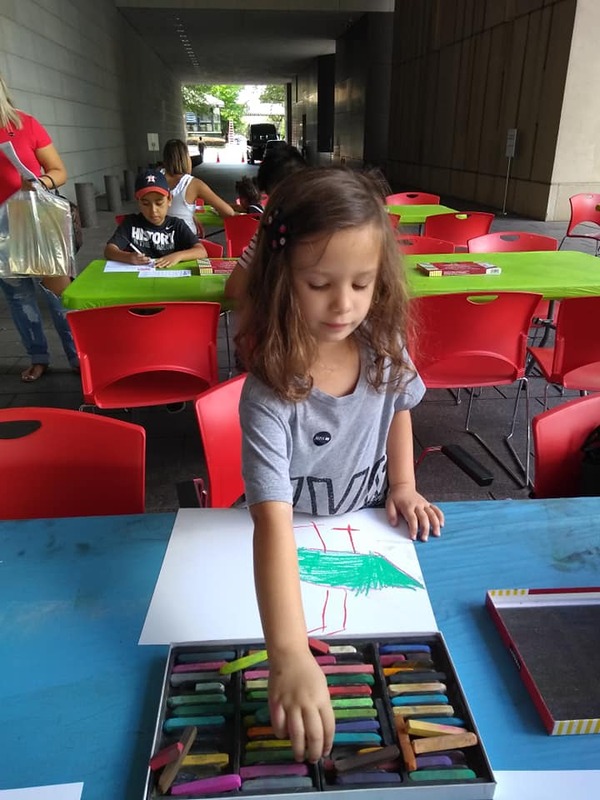 at the MFAH, and there are activities year-round on Sundays. Read more about the MFAH's Family Programs here. Family Programs at the MFAH this summer. Next we pick a few easily entertaining spots for kids. We visit Dan Flavin's "The Light Inside" tunnel (connects the Law building and Beck building underground! ), and given their age - my kids are easily entertained by the vast array of stairs, escalators, and elevators (if you have a baby / toddler I do not recommend a stroller in the Law building!). 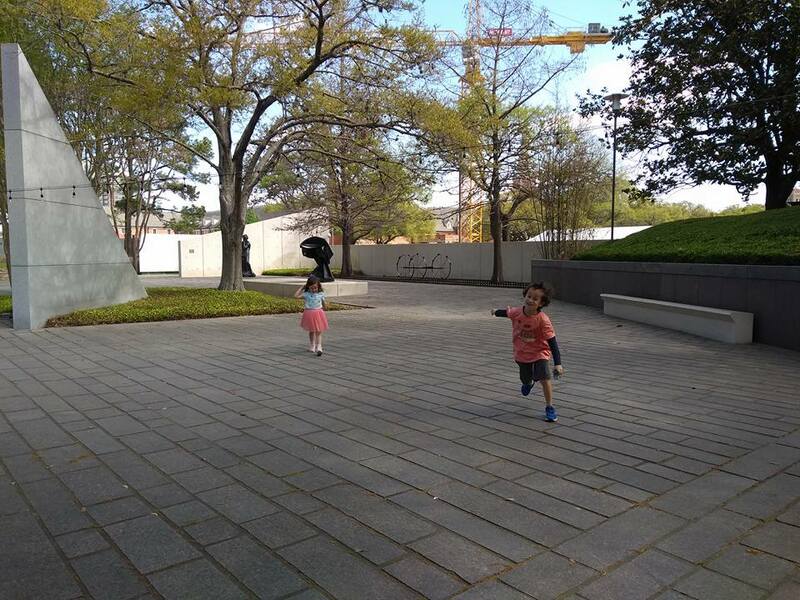 An art museum (usually) isn't the place to be loud, horse around, or run so I typically let them get their energy out in the Cullen Sculpture Garden. 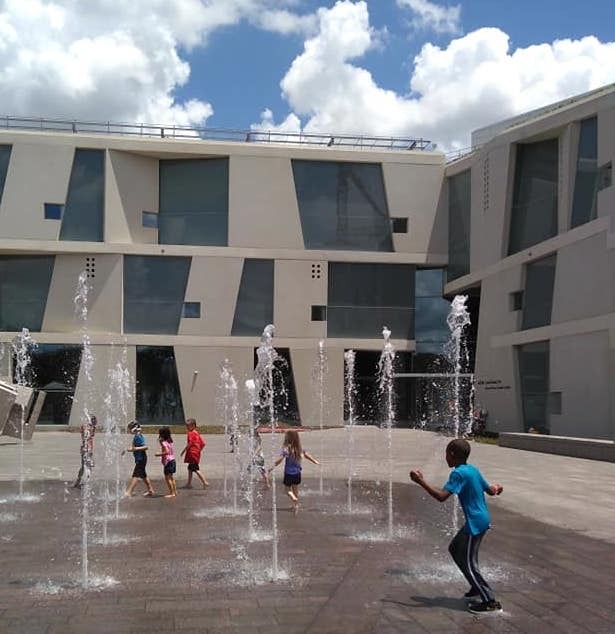 The MFAH just recently added on to their outdoor space too which includes a water play area - great for beating the heat in Houston (and free!). Getting out energy in the Sculpture Garden in the Spring. Exploring the new outdoor area (this summer). The new outdoor area has a water play area (this summer)! But my kids are going to get hungry? I am going to get hungry! How to save on food? I always pack reusable water bottles and lunch / snacks in a small Igloo thermos bag. I don't have to worry about having to spend money on lunch (although sometimes I budget that in) or listen to hungry children. And we eat in the sculpture garden! I recommend speaking to your kids about art museum manners before you go (mine have been going since birth, but I always remind them before we walk in). The link above provides even more museum manners. No outside voices - quiet voices! We can be loud when we go to the sculpture garden. (Yes, sometimes there are noisy activities, but mostly you do not want your child screaming in the art museum). We don't want to disturb other visitors. Walking feet. No running inside. 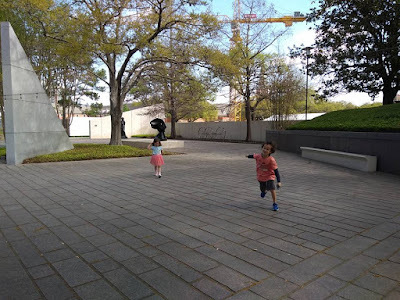 We can run when we go to the sculpture garden. We want to be safe inside, and we don't want to damage the art. No touching the art unless it says to touch, and no pointing at the art because we don't accidentally want to touch it. The oils on our fingers and hands can damage the art. I usually go over no horse play and be kind to each other (they are siblings), but you do the rules that best fit your own kids / age of your kids. (When my kids were toddler age I made sure I was holding on to them or had them close by since I definitely had one runner!). When you leave ... ask, "What was your favorite work of art today? Why?" I always get interesting answers! I love to hear what left an impression on them. There you go. A trip to an art museum for possibly under $10 (not including gas). My favorite kind of free entertainment! So what do you think? 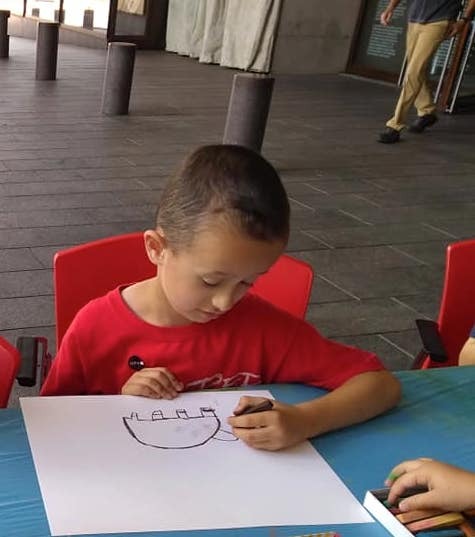 Up for a (free or cheap) art day with your kids? If you aren't in the Houston area, what art museums (or other art) do you have nearby? Check your local Dollar store for sketchbooks, notepads, and whatnot... I've been surprised by the reasonable quality and wide variety of sizes I've found. I got sketchpad paper to cover my entire Digital Media class' final advertising sketches for $1! Thanks for stopping valid! Valid point. The local Dollar Store can have some finds. I avoid plastics there because of chemicals, but yes, many paper / writing supplies are fine!